Have you been experiencing challenging emotions and energy this past month? This free angel message channeled with Archangel Metatron will assist you in clearing your energy and connecting with hope, empowerment, and love. 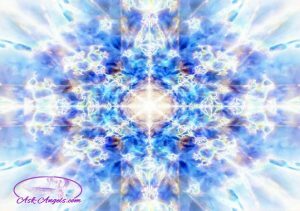 Archangel Metatron as channeled by Melanie Beckler, shares insight, frequency and love that will cleanse your energy leaving you feeling refreshed! Greetings I am Archangel Metatron, and I greet you in this now moment, in a vortex of unconditional love all around you and indeed, within you. As you allow yourself to breathe deeply, relax and open, allow this love, this light energy to infiltrate your being, filling you, raising your vibration, aligning you with your authentic self and purpose. It is my honor to connect with you now as you begin a new cycle, a new month, indeed, completing this year of your life where you stand now. You as humanity and you as an individual are evolving, are undergoing what is termed or coined, “the ascension process.” And this essentially means that you are in the process of returning to your authentic self, to the spiritual being that is you, to the perfect version of you. Perfection is something that you can achieve; perfection of your form, your unique personality, expression, mission, your unique destiny here on earth, why you are ultimately here. This can and will be accomplished. And the energy now, the energy this past month, has been guiding you through this process of returning to perfection. How does this work? Well, it is simple. The karmic impressions and beliefs, fears, doubts that are stored in you, which no longer serve you, which do not align with the true, authentic, spiritual version that you are becoming, these emotions, feelings—fear, anger, grief—weigh you down. They prevent you from opening and experiencing your full light and power. And so, the energy is assisting you in releasing these. For those of you who have been experiencing great challenges, emotional drama, sadness, anger, this is all divine now, for these things are bubbling up and boiling up in you, for, yes, they no longer serve you. So, allowing yourself to complete this process will allow you to shift your year from being challenging, turbulent, painful, as you deal with issues from the past and into being joyful, love, experiencing the fifth dimension fully, experiencing your perfection, your authentic self, the love, the light being that you are. This is possible now. But know that in darkness, in doubt, past memories that are still in you, will not simply fade away without your conscious involvement. What I mean by this is that when you are triggered, when great anger or fear, rage, doubts, sadness, when these emotions bubble up to the surface in a profound and very clear way, you can know that you are ready to deal with these, and you are ready to release them. It is likely this has been a pattern of expression for you throughout your lifetime. And even going back into lifetimes passed, dealing with this now in your expression completes your karmic cycle, allows you to stay in love. This is the ultimate goal. This is the perfection I speak of: love. You are loved at your core and the more you are able to express this in your physical world, the more you are able to live it and be it and share it. And yet, when anger or fear or sadness, emotions to be released come up, do not judge, do not think you are not spiritually evolved enough and that is why you are experiencing those things. They are a blessing for they allow you to, once and for all, release. We will walk you through this process now. I invite you to tune in to your heart. Breathe, relax, and know you’re surrounded with light, with your angels and guides, you’re safe, and you’re supported. And now tune in through your heart to an emotion stored deep within you that no longer serves you. What is this emotion? Can you identify it in a word? Can you identify when this emotion was first triggered in you? Did it date back to your childhood, to a past life, or perhaps an event more recent in your reality? Tune in. Now, feel the emotion resonating in your being. For this moment, it’s okay that your vibration drops a little, which it will. Just feel it, feel the pain, whatever emotion you are needing to release. Feel it. And now with your simple intention, with your allowing, release this emotion off, over to your angels and into the light. Feel it, as if it is being pulled up and out of you, out of your inner depths—up, up, up, out through the top of your crown chakra and into the light. This emotion no longer weighs you down, and no longer adversely affects you. It is gone. But now there is a void in you where this pain once was. And so, simply now, breathe in and feel this void being replaced with love, with light, with compassion, and with understanding of unity. Breathe. And as you allow the light to fill this void, your vibration lifts again, but this time to an even higher point than you were at before. Simply allow yourself to be now, to sit in peace, in gratitude and in love. Beloved one, know that with this new cycle beginning, you are being given the incredible opportunity to complete your healing, to complete the karmic cycle, which has weighed you down in this life. It may seem as if this month is moving in slow motion, and this is because you are given an opportunity. It is so important, essential, that daily you connect. Your heart is a powerful energy portal into the higher realms. But without your consciousness tuning in and focusing on your heart, focusing on opening your heart, and focusing on allowing more love and light into your life, it will simply not happen. Your initiative, your focus, your priority is required, daily tuning in and feeling your heart open. And through this feeling, the love, the light of the higher realms, this prepares you, this prepares you for what will come next. I mentioned that your karmic cycle, your healing, emotionally can be completed by the time this year comes to a close. This is not to say that there will not be more work needed of you after this point. It simply means that you are now able to prepare yourself for joy, beauty and love in the future. You can prepare yourself to align with your true purpose. In your mission here on earth, the divine plan and blueprint for your life, you align with this by cleansing out all that no longer serves you. Really tune in and connect with your heart through this, aligning and integrating with your higher power, your higher self, the energy of the Divine, putting you in a position to accomplish your purpose to benefit humanity and to help, to help all those who you know. This is an optional choice. And if you do not focus on releasing that which serves you not, it will continue time and time again to torment you, to bubble up, to offer you the opportunity to complete, to release. Strong emotions are your key, are the trigger, are the reminder that this work is necessary. And in the right time and place, you will be given this opportunity to release fully. And by doing so, you are able to ground completely in love. You are in the process of returning to your perfection. The full awareness and experience of yourself as the spiritual being, as a light being, as an ascended master on earth, one who is enlightened, able to see, hear, know and respond with love in every moment, regardless of the challenges that are before you. Beloved one, where you are now is divine, where you are now is simply the beginning. Make room in your inner world for light. Fill yourself with light and love. Trust that you are supported in your deep inner desires and wants, your inner dreams. When you commit to accomplishing your purpose, to following your true path, the steps will be presented before you and you will be able to easily continue to move forward. It is when you find great struggle on your path that I urge you to reevaluate what you are trying to manifest, what you are moving for. Is this in line with your highest purpose, with your divine blueprint? Tune in to your heart and ask. Notice the answer you get, the feeling, the little words that flow through your mind. If you’re not comfortable with the answers you are getting or doubt their validity, you can use divination tools such as dowsing or muscle checking. Find a way that works for you to verify and only do the activities that, indeed, align with your highest good. Any activities other than this will simply cause grief and struggle for you. This is not your path. This is not your desire. You’re a divine being, and you are simply entering into the flow of light, the divine flow, as you follow your true inner desires to accomplish your purpose. In moving towards this purpose, synchronicity will work with you. Your guides and angels will illuminate your path, and you will experience much joy and love and satisfaction. This is why we desire you to accomplish your purpose—not for my good, but for yours. For the evolution, the growth you’re experiencing now, will benefit your soul forever in every past, future and parallel reality. The work you do now allows you to become whole, fully aware of yourself as divine energy, as love, as the multidimensional being you are. Be patient with yourself, stay connected to your heart, set goals, focus on the dreams that are truly in your heart, and start preparing to move towards these. Though, remember, it may seem as if time is slowed down this month. So be patient and use this extra time to release and to integrate your spiritual light into this physical world. Beloved one, greatness awaits you, perfection on your path is possible, and the energy now supports you. Do not look at your uncontrollable emotions or anger or sadness as something that is bad. But rather, give thanks, for these feelings allow you to release them and forever change the course of your life. I invite you to tune in to your heart once more. Open it wide, feel the incredible love around you, feel the light. And I invite you to stay in this energy, share this love, express your truth. Beloved, I am Archangel Metatron. Know that your energy has been cleansed at this time. Keep your heart open and go out and share this love you have absorbed with your world. I leave you with my blessing and my utmost gratitude for you. You are so loved. Simply click play below to listen to this angel message from Archangel Metatron, or right click download (ctrl click mac) to save to your computer. Thank-you. Your messages are of great help to me at this time. thank you so much for the gift of sharing your channeled messages from archangel metatron. may i have one request/favor, please… kindly communicate to archangel metatron of my desire to put him as one of my guides in the south (fire)and i am open for his communication between 3-5am, daily, during my practice. i am jia daranata. thank so much.